Modeling tool helps companies right size equipment for efficiency and savings. Modeling or simulation software is used across a wide variety of industries to simulate facilities and op-erational processes before capital investments have been solidified. An industry shift toward net zero budgeting means corporations are seeking more clear-cut justification for their purchases—and packaging simulations can provide the information needed to make informed decisions. Affordable and user-friendly, simulation software is now being used on new and retrofitted facilities to design packaging processes to be more energy-efficient, cost-effective and adaptable to market demands. Whether you are looking to: design a new facility or retrofitting a current plant; choose new equipment; optimize your staff, add a new product line or make changes to packaging design, employing simulation software in the design phase can help provide useful and detailed information on the design of your packaging process. For example, incoming material can be modeled to understand the timeliness of delivery, and that information can be used to identify a specific piece of equipment that accommodates the material delivery rate. When that data is plugged into the software simulation along with your production schedule, the resulting model can be used to spot potential bottlenecks and other issues during design. Once a packaging process model is created, you also have the ability to examine many different scenarios and study the impact of each change both before purchasing equipment and even long after the plant has been built when considering a renovation or process change. 1. A solid production schedule. With simulation software, you can forecast volume, track a list of SKUs or determine a list of all finished goods produced on a particular line. You can compare the outcomes of a 2-week vs. a 4-week shift, for example. And you can evaluate the impact of factors such as sanitization, changes in equipment settings or product change over rates. The more data included in the model, the more thorough the evaluation. 2. Equipment performance data. Reliable data from a vendor on the process capability of equip-ment, or even better - process capability data from an existing line. When planning repairs and related downtime, a manufacturer's data is always theoretical; data from a real line cre-ates even more accurate models. 3. Data on your staff. Humans are a significant variable in packaging. 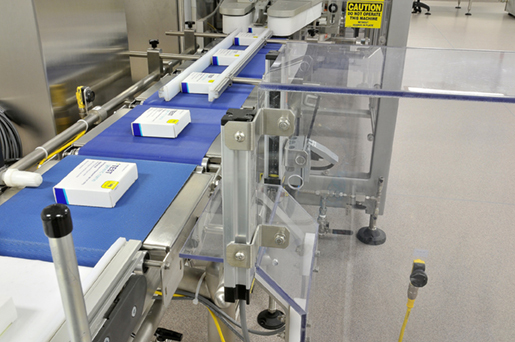 How many people are/will be staffed, and what are their roles on the packaging line? We can measure the time it takes them to travel throughout the facility, and determine arrival time on the line. We can model other human behaviors such as breaks, line data collection and raw material break down and loading. 4. Packaging raw materials procurement data. It is essential to understand the schedule: how many materials are coming in, when, how and where will they be stored? Do materials need to be pre-conditioned before running on the line? How many fork trucks and pallet jacks are available to deliver materials? The more data the better. As the model gets populated, the specific packaging process emerges — and critical design questions can be asked. Are we using the right equipment, and if not, what do we need to modify or replace? Are there bottle-necks and other downtime scenarios that are eating away at the schedule? Can efficiency be increased by staging staff breaks differently? If we downsize high-speed equipment, can we cut the budget in a meaningful way? Are we prepared to manage the complexities that come with a new piece of equipment? Sometimes, the answer to our questions is no. As we use the model to examine a facility, we look at eve-ry possible scenario—and offer an evaluation. The right decision might be to skip an equipment upgrade that seemed attractive but could actually add costs and fail to meet actual needs. Maybe it makes more sense to change staffing in order to boost efficiency, rather than add more equipment. The key is to gather data and create an accurate model that helps the owners and operators of today's manufacturing plants make the most informed decisions possible. Renee Benson is a Packaging Engineer at CRB in our St. Louis, Missouri office. How Can Renee Benson Help?